Infinity® Replacement windows and doors are constructed with Ultrex Fiberglass. This pultruded fiberglass is superior to other window materials due to its unmatched strength and durability. Ultrex fiberglass makes infinity windows basically maintenance free. 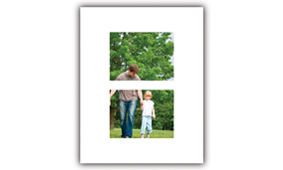 What makes Infinity® Windows different from other windows? These replacement windows are made from Ultrex fiberglass – a pultruded fiberglass material superior to any other window material. Below is a step by step process of how the windows are created. From forming and curing, and all the way to cutting, these steps create an incredibly durable material to outlast and outperform other window materials. Best of all, since the windows are made with such care, Infinity windows are virtually maintenance free! Clearly, these products are made with integrity, and there a several advantages to the Ultrex fiberglass windows as well. The base material of these windows is silica sand; which is natural and abundant. The windows will be easy to operate for the entirety of their duration due to low expansion. Strength keeps the windows square and true. Having a narrow profile allows for more visible glass area for a breathtaking view. Low risk of seal failures and air leakage because of the long-term stability of these windows. 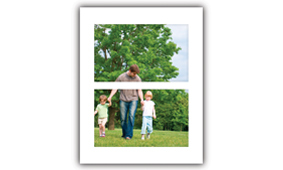 Patented acrylic finish is up to 3x thicker than competitors. These means increased resistance to discoloring, scratching, and denting. Ultrex is as strong as low carbon steel and 8x stronger than vinyl. So strong in fact, that it must be cut with diamond-edge blades. This superior strength of Ultrex windows translates into increased stability, continued ease of operation, minimal maintenance, and optimal performance. Ultrex is made to be highly weather resistant, making it perfect for Wisconsin’s wide range of weather conditions. From sub-zero temperatures to sweltering heat, Marvin infinity windows will keep your home insulated. Ultrex windows have some of the lowest thermal expansion rates on the market today. 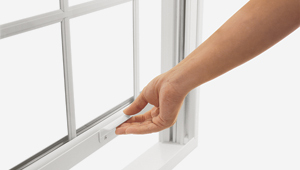 This allows them to remain weathertight where other windows would run the risk of air leakage and or seal failure. Below is a graph illustrating the Ultrex expansion rate compared to other window materials. Ultrex windows also remain easy to operate over the years due to this low expansion rate. Other windows tend to stick and become hard to open after several years of expanding and contracting. Looking for windows that require little to no maintenance? Look no further, Ultrex windows are the best option for you. This material resists discoloring, rotting, warping, corrosion, and denting. Save the paint and keep your hands clean, because you shouldn’t have to sand, scrape, or paint this windows! We will let you decide, which one of these windows would look better on your home? Vinyl windows will leave you feeling rather unsure about your purchase. Give your home the face-lift it deserves with beautiful and modern Infinity windows that have clean mechanically-bonded corners and narrow profiles that maximize your view. Why wait? – Get an in-home quote on Infinity replacement windows today! Windows Of Wisconsin is proud to provide Infinity replacement windows in Green Bay, Appleton, and the surrounding areas. If you own a home in Brown County or the Fox Valley, please give us a call or fill out a contact form here, and we will reach out to you shortly. If you live elsewhere, please visit Marvin.com to find a dealer nearest you. “We have had positive experiences with Windows of Wisconsin. Back in 2006 we purchased Infinity by Marvin Windows and have been very happy with the product along with the service. The few times we had a hiccup, Carl was quick to come or send someone to our home to make the repair. They are very professional and knowledgeable and we would highly recommend them to others.